Highlights from the Celebrate Life Book Tour and helpful articles on self care, mindfulness, and personal growth. I always enjoy learning from people who are really good at what they do and I'm very fortunate that there is no shortage of generous folks out there who are willing to share their life experiences with me. Guys like New York Times best-selling author, Dan Buettner, make it easy. They do all the research, travel the world, and wrap up all of their wisdom with a nice little red bow in the form of an easy-to-follow guide book. Dan wrote The Blue Zones of Happiness. A Blueprint for a Better Life. He interviewed some of the happiest people from the happiest places on Earth and wrote down what he learned. He documented all the personal, professional, psychological, spiritual, environmental, and financial factors that play a major role in determining whether or not you're going to be content with your life. He also collaborated with other top happiness researchers (yes, there are actually happiness researchers out there) and complied a ton of potentially life-altering data for the human race. Buettner says happiness pretty much boils down to four things: "A person needs 1) something to do, 2) someone to love, 3) something to give, and 4) something to look forward to." Think about it. If you can have each one of those things on a daily basis... that's a pretty productive and fulfilling day! Pick up a copy of Blue Zones for yourself to check out the rest of Dan's immense research and findings. "When we choose not to indulge the thought, it loses energy and fades. In other words, if we put the monkey in the cage, it will eventually go sit down....."
"If we can slow down our minds for long enough, and fully experience the present, we have a chance to actually observe our thoughts and control them, rather than letting them control us." Know your purpose. As we've discovered in the happiest places, and in research from the experts, being invested in something greater than ourselves is fundamental to a richer, happier life. Marcello Pedalino, CFT, is the author of the new inspirational book on personal growth and development, Celebrate Life. He is an award-winning entrepreneur, lifestyle expert, and fitness trainer. He delivers dynamic keynote presentations to corporations and organizations across the country who need help making Energy Management and Work-Life balance a priority. You've probably seen a lot of New Year's resolution posts litter Facebook and Instagram over the years that ultimately ended up in a social media graveyard of unfulfilled pledges. Here are three strategies to help you finish what you start and be different than 90% of Americans who fail to follow through. Like many things in life, moderation is the key. If you start off by saying you want to lose 40 pounds and get a six pack, you'll soon realize that that's a pretty lofty goal and will take a considerable amount of time and dedication to accomplish if done safely. Try this: Start with a more realistic and less daunting goal of losing 5 pounds and walking around the block once a day at lunchtime. Try to eliminate 1 night of drinking alcohol or smoking cigarettes. Try to get an additional 30 minutes of sleep per night and try to eliminate 30 minutes of screen time after dinner. Instead of just throwing out a number and a "look" that you think you deserve, you'll start laying the foundation for healthier lifestyle choices. By making the smaller goals more attainable, you'll start to gain momentum, consistency, and measurable results that can deliver a new lease on life. And don't forget to celebrate your successes along the way. Instead of waiting until you lose the entire 40 pounds, make a big deal about accomplishing each and every 5 pound milestone. The positive mojo and energy will really help you continue to fuel your efforts. The sooner you acknowledge the validity of the notion that "You are who you surround yourself with", the sooner you'll realize how important it is to make your solo adventure a team effort. This doesn't mean that the chosen few you accept into your inner-circle will do the hard work for you or simply tell you the things that you want to hear vs. need to hear when times get tough, but it does mean that you'll have system in place forcing you to check in with your trusted friends/mentors/advisors/coaches on a bi-weekly, weekly, or monthly basis to report your progress (or lack thereof) and keep you honest. Social media has made finding prospective accountability partners fairly simple. Look for results and consistency as opposed to a bunch of drama-related posts. If you see someone posting a few pics online 2 years after they started their journey toward better self-care and they are still fit or improving their overall wellness status, they should be on your short list of people to reach out to. They have probably experienced the same pitfalls and inevitable bumps in the road that are headed your way. This knowledge and camaraderie of empathy will be a difference-maker in the long term after the initial excitement of trying something new wears off. Keep in mind, the people who simply "liked" your original posts will eventually stop cheering you on because they are on to the next cause or attention-grabbing media hype of the day. There was a great song by Sade back in the day where she mentioned that "Every day is Christmas and Every night is New Year's Eve". The underlying sentiment being, you don't have to wait for a special holiday to treat yourself, to do something awesome, or to make someone else feel special. Don't fall into the trap that you have to wait until January 1st every year to start improving your lifestyle habits. It's similar to the psychological quicksand that many Americans get caught in when they say something like, I'll just wait until (insert holiday or personal milestone) comes to start getting serious about making these changes. Realize that when it comes to your health and happiness, the best time to start any type of intervention is- today. As in, now! You could be reading this in the middle of summer or winter and it won't matter. Resolutions of any kind or branding can only be attained if you take the first step. Once you begin your journey, the key to seeing your resolutions through is focusing on the process vs. the goal. Just ask my friend, Randy Bartlett. If you want to be a "finisher," you'll soon realize that the 10% of Americans who actually accomplish their goals AND maintain consistent positive momentum, are the ones who already came to the realization that the continued implementation of healthy lifestyle habits have evolved into an everyday lifestyle choice. New Year's Day is just another day on the calendar. Marcello Pedalino, CFT, is the author of the new inspirational book on personal growth and development, Celebrate Life. He is an award-winning entrepreneur, lifestyle expert, and fitness trainer. Pedalino delivers dynamic keynote presentations to corporations and organizations across the country who need help making Energy Management and Work-Life balance a priority. #1 Good Sleep Hygiene is the Key to Positive Momentum. Q- How important is "sleep hygiene?" Very important. Starting the day on a happy note has everything to do with how you end the day before. Don't underestimate the fab 4 for your bedroom. You want it to be clean, cool, quiet, and dark which is an optimal sleeping environment. Set yourself up for success. Get as close to 8 hours of sleep as possible so you can wake up refreshed and recharged. You'll be ready for whatever the new day brings. Q- Is it ok to hit the snooze button? No. Like the saying goes, "you snooze- you lose." Don't bother wasting your time by hitting snooze. You're just avoiding the inevitable. If you need to hit the snooze button when you wake up, you probably went to bed too late or you probably need to make some significant lifestyle adjustments. Q- Does gratitude play a role in waking up happy? Yes. Gratitude is one of the keys happiness. I recommend that you start your day by thinking about 3 things in your life that you are grateful for. It's pretty tough to be in a bad mood when you are feeling grateful. Then, visualize 3 things you want to accomplish before you get back into bed tonight. See it. Believe it. Go make it happen. A sense of purpose is another key to daily happiness. Q- Is first thing in the morning a good time to check your phone? No. Don't tempt the social media Gods in the morning. Their job is to put stuff on facebook and instagram that will make you want to sit there and mindlessly scroll for 35 minutes and lose your momentum. This includes politics. If you are more focused on who is running the white house rather than who is running your own house, you're not going be as productive or positive as you could be in the morning. Q- What's the best move to make when you get out of bed? Start with a workout, shower, and a healthy breakfast. Let the endorphins work their magic. Exercise is a great way to reduce stress and trigger positive feelings. When you dial in your sleep, nutrition, exercise, gratitude, and sense of purpose, happiness becomes inevitable because happiness become a lifestyle choice. The Secret to Keeping the Weight Off? Randy Bartlett says "Focus on the Process." I was already a fan of Randy Bartlett before he lost all the weight and started hiking up huge mountains. For the past twenty years, I've known Randy as one of the best performers and keynote speakers in the mobile entertainment and event production field. He's been a solid friend, a trusted mentor, and a valued colleague. Bonus: he's always been really funny. Randy was on my Celebrate Life interview series about five years ago. I look back on this now in disbelief. Today he has the same amount of talent (if not more), he's just as influential to me and others in the industry (if not more), and he's just as funny now (if not more)- than ever. But the incredible thing is that he literally transformed his body. No, not the "hey, I lost 20 pounds and put it all back on 3 months later" kind of transformation that litters Facebook on a daily basis. Randy is one of the few who focused on the journey (what he calls "the process") of making self-care a lifestyle. His transformation has been on point for an impressive 3 years and counting. AC: Randy, your journey to health is an inspiration to a lot of people. I was hoping you could elaborate more on some of the motivation/mental aspects of the challenge. In particular, you've described how you ate like a spoiled teenager (or words to that effect) with pretty much no focus or discipline. Then you decided to be done with that, have surgery, change your life. To an outsider, it seems like you just flipped a switch and all of a sudden, you became this committed fitness zealot. How do you think that happened, mentally and emotionally? Did you set up structures of accountability that helped you? We all KNOW that we should eat better and move more, but you really do it. The first part is easy. I'm a spoiled brat, the baby of the family who always lived for this moment. For the most part, I like that about myself, but there are some downsides. "If it feels good, do it" is a great meme, but not necessarily a good lifestyle. As for the change, I've battled my weight my entire life. There are some genetics involved and some choices involved. Various doctors told me to get it under control, but most of them weren't nearly serious and direct enough with me. 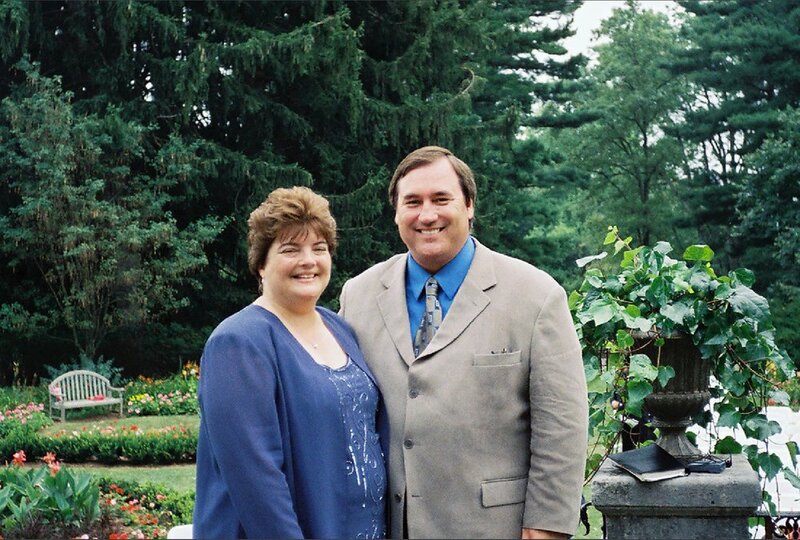 When my wife was diagnosed with diabetes, I went with her to the doctor to learn about it. I thought she wasn't doing enough to take care of herself and basically told her that if she let herself continue the slide, it would be without me. Sounds harsh, but since it seemed like a choice she was making, I couldn't be part of that choice. She got her act together and got healthy, while I continued my downhill slide. And then one day, my doctor told me I had diabetes. With all I had learned about it, and the ultimatum I had issued my wife with her diagnosis, I knew I couldn't deal with diabetes. I'm too much about this moment to deal with the myriad of issues that diabetes creates, so I made my best effort to get it under control but my best wasn't good enough. I began looking into weight loss surgery. What I knew was that gastric bypass surgery "cures" diabetes. They don't know why yet, and the diabetes goes away long before the weight, but for me, that became my only option. I was going all in for this. Once I had the surgery, the first part is "easy" enough, in that you simply can't out-eat the surgery, but having watched my wife, among others, go through it, I knew more about it than most. In the beginning, it's pretty exciting, as the pounds just melt off, but from the beginning, I knew that movement was key and I began walking, very slowly and very short distances, but doing it every day, further and faster. I'm very competitive, so my Runkeeper app was awesome, because every day I could do better than the day before. Faster. Further. Goals being achieved. Now to the flipping of the switch. This was the light bulb moment for me. Most obese people become obese because they crave instant gratification. I was definitely that way. If I deprived myself of something, or exercised more, I didn't see an instant result, but if I ate that cookie, I did. So I "ate that cookie," literally and metaphorically. I learned to make the PROCESS my instant gratification, instead of focusing on the result. When I walked somewhere, I saw it on my Runkeeper app, and when it sent me a message saying, "You've set a new personal record," that became my "cookie." When I ate a sugar free popcicle instead of ice cream, that became my instant gratification, when I saw that I just accomplished what I wanted to. If you diet, you'll generally lose weight, but it can be inconsistent. So for three days, I used to eat everything I "should" and then sometimes, I'd find that I lost no weight, or very little, or sometimes even gained weight! This is bulls**t! "So what's the point?" I'd think, as I got myself some instant gratification, in the form of food, usually. But now, I realize it's the process. If I miss out on the process, I feel deprived. If something gets in the way of my workouts or my better eating habits, it's bothersome. I feel cheated. My weight is stable, but I didn't get my instant gratification. I learned to make the process instant. Beyond that, I saw a meme on Facebook that really, truly, changed my way of thinking. It said, "Exercise is a celebration of what the body can do, not punishment for what we ate." That was huge for me. When I don't want to work out, when I'm dying while I'm running or whining to my trainer, I flip that switch inside my head that tells me to remember what this celebration is all about. I couldn't do this stuff two years ago. Now I'm about to turn 60 and I'm doing things I couldn't dream of for the last 35 years. I spend a small fortune on my personal trainer, hiking trips, etc., but that has become my most important investment. I save a fortune in medical costs, fast food, even clothes, because my clothes are a LOT cheaper now. I'm way ahead of the game financially, so I gladly write those fitness checks. For me, it was never really much about appearance. I certainly like the way I look more now than before, but that's such a secondary issue for me. Finally, I just understand that it's not just how long I will live, but how well I will live. I'm having more fun than ever and it's a million little things - bending over to pick things up or tie my shoes, how I feel at the end of a long work day or when running around at a wedding or leading a dance or lifting gear. The other day, working with my trainer, I was whining about how out of breath I was, telling him that I thought that by now, I would be able to do what we were doing without being so winded. He said, "If you weren't this winded, I'd add more weight." I forget that while I'm still doing the "same" exercises I did last year, now I'm doing it with more weight, faster, longer and my recovery periods are a fraction of what they used to be. ..."
Randy's response should be required reading for anyone who is looking to lose weight and keep it off. 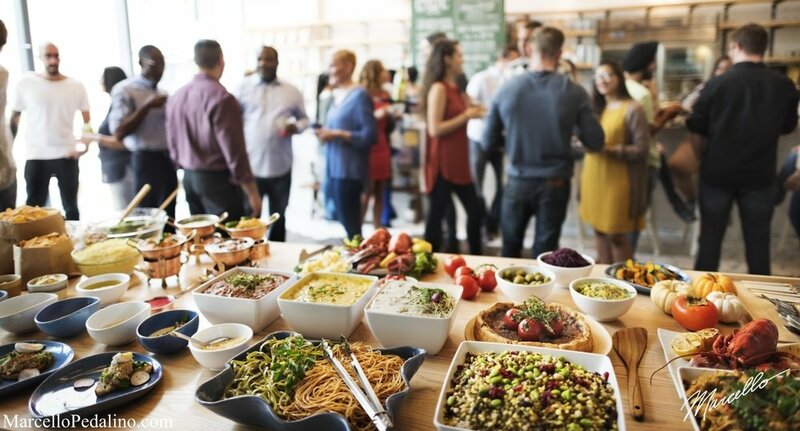 It's more than setting a goal of "how much weight" you want to lose, or how you want to "look" for your upcoming wedding reception, or how you want to "appear" at your next high school reunion... it's about the day after all of these goals are met. And most importantly, it's about how you want to "feel" every other day after that for the rest of your life. 'Taking Care of Yourself' is more than just a chapter title in my book. It's something you need to do if you want to truly transform your body, mind, and spirit. Randy's Response: (and why I respect him so much) "If there's any way you can do it without surgery, you absolutely should. Surgery should not be the first option because there are many reasons not to do it and it's certainly not "the easy way." But it was, FOR ME, a big mistake to keep thinking that I could/would do it "on my own." I ended up truly losing my 30s, 40s and most of my 50s. The number of things I could have done during that 30 year period is heart-breaking and I set a pretty horrible example for my children and grandchildren during that time. I was just so used to living my life with the limitations that my weight put on me that I didn't even know that I had limitations because of my weight. It's just the way it was. It was eye-opening to see life as a fit, healthy person. I was pretty lucky that I didn't have anything happen to me during those years. So many people who live life as an obese person don't get that chance. Stroke, heart attacks, diabetes, high blood pressure, back issues, somehow I dodged all those bullets until I finally ended up with diabetes, which ended up saving my life, because that was the motivation I finally needed to do something major. That was MY decision. I don't recommend it for anyone else, but I do recommend realistically exploring all options. Look, if they told you that you had cancer, but there was an operation to get rid of it, but that there would be some side effects of that operation, you'd do it, right? So the surgery is one treatment method. For me, it was the right one, but not for everyone. The bad option is the one where time passes and nothing is done to solve this ticking time bomb." 'Tis the season for coughs and colds and seeing our patients visit the office a little more frequently than they did just a few months ago. I am also seeing plenty of moms who are run down and battling colds and fevers as well. I will then ask about the quality of mom's sleep since getting a restful night sleep is a key in allowing the body to recover from illness. In more instances than not, the response I get is a smirk, an eye roll, and a defeated answer of, "we normally don't get sleep in our house since my child is a poor sleeper anyway." Scientists are gathering more and more evidence that sleep is a critical factor in our ability to function normally while we are awake, impacting everything from cognition and decision making to overall physical health and well being. Sleep helps our brain remove toxins and it helps our bodies recover from the myriad viruses and bacteria that bombard our immune systems on a daily basis. Restorative sleep improves our overall mood and outlook on life, it gives us the energy to exercise our bodies and reap all the benefits of the increase in endorphins, it allows us to be more focused at work and at home with our families, and it provides the foundation for being an awesome parent who is fully present for our children. If there is one aspect of life where we should be selfish it is getting a good night sleep. That is why it is so important to help our babies learn to sleep early and effectively--so we can sleep, too! Why, then, are so many parents having trouble getting their children to sleep well? I think the answer might be that parents, and moms especially, are putting their own needs on the back burner by allowing their desire to be a "good" parent and not harm their baby by letting the baby cry-it-out overshadow their own need to take care of themselves. I just read an article entitled, "Stop Shaming Women for Teaching Their Babies to Sleep" where the author cited a recent study published in the journal Pediatrics that found that sleep training DOES NOT cause long-term harm to babies. The study refutes a 2012 study wherein the authors concluded that allowing a baby to cry for extended periods raised stress levels. No parent wants to cause their child discomfort or worse, raise their stress levels, but chronic sleep deprivation suffered by both parents and their poor sleeper inevitably affects the family's entire life and that I promise raises everyone's stress levels. Parents ask me about sleep training on a very regular basis--let me correct that--parents complain to me that their child is a terrible sleeper on a very regular basis and tell me they have read all the books and have gone on every website, blog, and Facebook group forum, but nothing seems to work. When I respond that the best way to help your child sleep well is to let him learn to self-soothe and, yes, cry it out, I take a deep breath and brace for the negative reaction. Unfortunately, I am often met with, "Oh no I'm not ready to let him cry like that" or "we tried it and he just cried the whole night so we didn't keep trying" or more often, "I have to get up in the morning and go to work and I am already exhausted". In our current society, both parents are working and, yes, it is much easier to feed a baby or bring her to the parents' bed when she wakes in the night crying since everyone gets back to sleep faster...but that quick fix each night creates a habit that can last for months and years and the lack of restorative sleep definitely adds up. After committing to a week (or even less) of allowing the baby to cry or by redirecting that night time visitor back to his own bed without any interaction or stimulation, parents regularly report to me that they can't believe they didn't do this sooner since it actually did work! They find that their consistent and predictable response during each night wakening created a new pattern that taught the child to figure it out without the help of an adult. How empowering is that?! The paradigm shifts from feeling selfish (I need my sleep) to selfless (I gave my child an incredibly valuable tool that will benefit her for the rest of her life) and then the ripple effect begins...better sleep leads to happier family members, more productivity at work, more energy to be the best parent possible, and an overall improvement in the parents' physical and mental well being. I would never pretend that there is a quick fix to sleep training since every baby is different, every parent is unique, and every family dynamic is blissfully complex in its own way. However, once parents face the reality of their situation and tease out the excuses from the fears, they find the strength to take back the night and help their sometimes very stubborn, willful, and hard-headed child learn to figure it out and get some rest. As my very wise husband always says, "If you can't take care of yourself, then you can't take care of the people who depend on you." Children depend on their parents to be their role model and when families prioritize sleep they are fitting another piece into the right place in the puzzle of parenting. Sleep well!! 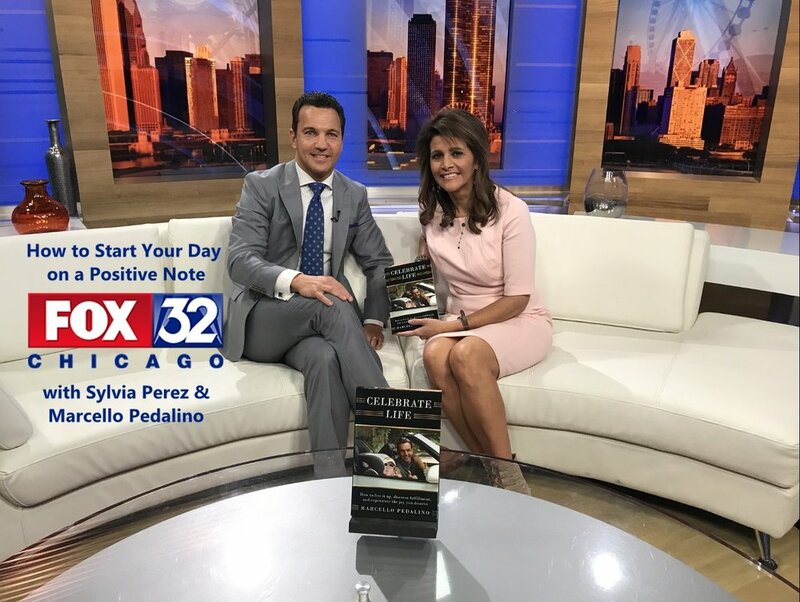 Good Day's Sylvia Perez and Marcello Pedalino Discuss "Starting Your Day On A Positive Note"
Special thanks to @sylviaperezfox32 for a lovely chat this morning on #gooddaychicago. It was a pleasure meeting you. :) We riffed about sleep hygiene, gratitude, purpose, social media habits, and the importance of exercise. The extended segment will air the day after Thanksgiving. With Thanksgiving, Christmas, New Year's Eve, and other big holidays right around the corner, the invitations to eat, drink, and be merry should start hitting your inbox very soon. If you ever wondered if it were possible to avoid the annual year-end roller coaster ride of weight gain and some common buffet line pitfalls, read these three tips below. You'll also learn how to stay alive and make it to next year's holiday season. 1) Keep Good Company: The worst possible time to hang around lazy and negative people and to be less active than usual is the holiday season. If you're hanging around with people who would rather stay inside eating fast food while scrolling through their drama on Instagram and Facebook during lunchtime instead of hanging around people who eat well and enjoy going outside for a walk, you're cheating your body out of all the productive energy and positive mood boosters that exercise and fresh air have to offer. Try This: Go out of your way to associate with friends and co-workers who make nutrition, fitness, and celebrating life a priority. Remember, you are who you surround yourself with. 2) Pace Yourself: No, we're not talking about exercise here. We're talking about food. Chances are you'll find yourself in front of multiple buffets this holiday season. Don't let your eyes be bigger than your stomach. Try not to compete with the person next to you to see who can pile the most stuff onto their plate. Portion control is paramount during the holidays. Try This: Make an effort to start your buffet line excursion by simply making a small salad on your first run. Eat slowly, have some of your water, then return for round two. Try for one piece of chicken, beef, or fish, and then a large spoonful of veggies on the side. Eat slowly. Finish your glass of water. Drink another glass of water slowly while enjoying the company and conversation around you. Wait for 10 minutes. If you are being honest with yourself, you'll realize that you're not hungry anymore and don't even want or need to eat dessert. *Now, if you are invited to multiple parties and you happen to enjoy dessert as much as I do, it's okay to have dessert at one or two of them. (Especially, if your wife makes a ridiculous homemade apple pie.) If your regular daily nutrition is on point, a few desserts over the holidays won't hurt. Moderation is key. Just keep in mind, the extra calories add up fast! 3) Call Uber: If you're not getting enough sleep, if you like to text while driving, or you enjoy drinking during the holidays, DON'T DRIVE. The amount of car accidents and deaths each year during the holiday season due to impaired driving is staggering. The worst part is that most of them could have been avoided with common sense. Try This: If you're driving home later than usual after attending a party and you feel your eyes getting very heavy, pull over as soon as you can find a safe place to take a little power nap. If you know in advance that you'll be getting home later than usual, call an Uber for your round trip transportation. Most people don't realize that drowsy driving can be just as dangerous as drunk driving. Speaking of drunk driving, STOP IT. Don't think you're the exception and you can get yourself home after a few drinks just because you've been extremely lucky all these years. Call an Uber. And speaking of being lucky, if you haven't crashed or killed anyone yet from texting while driving you're playing with fire. Either pull over and type your reply or just call an Uber so you can text your heart out. Remember, an Uber might be more expensive, but you can't put a price on your life, the lives of others, and your future. Wishing you a happy, healthy, and safe holiday season! Special thanks to Dr. Jill Garripoli and Healthy Kids Pediatrics for co-sponsoring the annual #CelebrateLife Ride in New York City yesterday. It was a gorgeous outing that included 35 miles of fresh air, sunshine, and Grimaldi's Pizza with some incredible entrepreneurs. :) Shout out to Johnny V'arvolis for the awesome pic at the George Washington Bridge lighthouse! Enjoy your weekend everyone! It was a pleasure to serve the exceptional team at Caesars Entertainment as well as their stellar guest list of meeting professionals from across the country. Thank you for the first class experience and your incredible hospitality. My closing keynote presentation included strategies for letting things go, politics vs. productivity, vacation tips, how to keep good company, and reevaluating priorities. I enjoyed meeting, learning from, and sharing the stage with some of the finest in the speaking world... Kelly McDonald, AndyCore-Speaker/Author, & Paul Moya. Also, special thanks to the Encore Event Technologies production team for making everyone look, sound, and feel amazing. Onwards and upwards. Marcello Pedalino, author of Celebrate Life, will deliver the closing keynote presentation for Caesars Entertainment in Atlantic City later this month. Among the attendees will be some of the top meeting prosfessionals in the country. Nothing is more relaxing to me than sitting at the beach with a great book. Listening to the waves, toes in the sand -You know the song, right? The best beach books are the ones that make you dive deep into their pages until the end leaving you feeling a whole lot better about yourself. The best book I’ve read this summer hands down is Celebrate Life by Marcello Pedalino. I like to read a lot of self help, motivational books. The problem with many of them is that they are too “self-helpy”. Sometimes I feel like I need a degree in meta physics or astral geometry to grasp their meaning. Many times the concepts in them really can’t be applied to the life I’m trying to live. Yeah, admit it, you’ve had that experience. Thankfully, Celebrate Life conveys it’s message in a straight forward, positive, easy to apply way. The Author (Marcello) takes the stresses of everyday life (work, family, bills) and gives simple but powerful remedies for getting past what stops you from, well – celebrating life! Each chapter of Celebrate Life is filled with those “nuggets” we all love at to get at conventions. Marcello highlights these nuggets in boldface type so they literally jump off the page at you. One of my favorite nuggets in the book is right at the beginning of Chapter one. Marcello writes,“If you can’t take care of yourself, you can’t take care of your family or your clients”. Seriously think about that statement for a minute. How healthy are you? What are you going to do right now to better your health? Do you invest in yourself as much as you do your company? Read the book. Marcello has incorporated two key things I find that most self help or motivational books lack. Pictures and author’s notes. Each chapter in Celebrate Life has little blocks filled with “Marcello’s Messages” and pictures that really do communicate a “thousand words”. Each chapter builds on the message of the previous one. The structure of the book easily leads the reader to Marcello’s goal of having you learn to let go and celebrate the gift of life you’ve have been given. Special thanks to Mike Cordeiro for choosing Celebrate Life as his pick for The 'Book of The Month' in Mobile Beat Magazine. Glad you enjoyed it Mike! a) If you want to wake up happy, the best thing you can do is go to bed happy. Now, that's not always possible so the next best thing is to go to bed with some peace of mind. Take a few minutes to debrief and decompress. Acknowledge the day's challenges and write down a few foundation solutions on a piece of paper. The next morning you can refer to the notes and start your day with a plan. b) Prep for the day ahead and think about what I call "The Fab 4" for your bedroom. 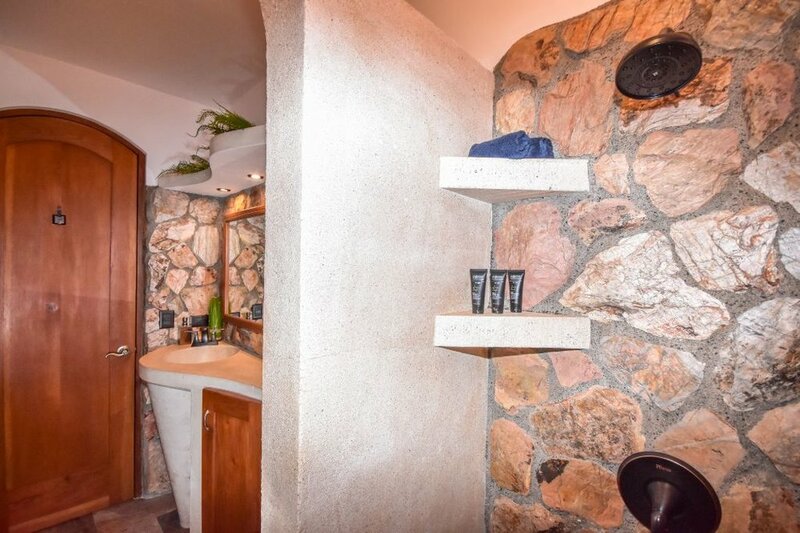 You want it to be clean, cool, quiet, and dark. c) You also want to remove all distractions. Unless you're a doctor who needs to be on call or something of that nature, put your phone in the kitchen. If your excuse is that you need an alarm clock, buy an alarm clock. a) Like the saying goes, "you snooze- you lose." Don't bother wasting your time by hitting snooze. You're just avoiding the inevitable. b) If you need to hit the snooze button when you wake up, you probably went to bed too late. Either that, or you need to make some significant lifestyle adjustments. Don't tempt the social media Gods in the morning. Their job is to put stuff on Facebook and Instagram that will make you want to sit there and scroll mindlessly for 35 minutes. FYI They are really good at their job! This includes politics, too. If you are more focused on who is running the White House rather than who is running your own house when you open your eyes, you're not going be as productive as you could be in the morning. Unless of course you are tuning in to Today In New York or The Today Show. Those are both legal and recommended viewing. :) Otherwise, turning on your TV is just as bad as surfing your social sites on your phone if you're still under the covers. a) For the first few minutes of your new day, practice some gratitude and introspection. Start by thinking about a few things in your life that you are grateful for. Then, visualize all the things you want to accomplish before you get back into bed tonight. See it. Believe it. Go make it happen. b) If you are fortunate enough to be waking up next to your true companion, let them know how much you love and appreciate them. a) Start the day off with a workout, shower, and a healthy breakfast. This will give you the energy you need to take on the rest of the day. b) Eventually, waking up happy will evolve into making sleep, nutrition, and exercise a priority and soon you'll start waking up to the realization that your future can be better than you ever thought possible. I was exhausted. I was grumpy. I was ready to quit. After another 14-hour marathon study session in the kitchen, I called out to my wife who was in the living room and moaned, "have you ever spent the entire day studying like this?" Without hesitation she yelled back , "yes honey, every day for four years while I was in medical school." Ouch. A slice of humble pie served up hot and fresh. Earning my CFT (Certified Fitness Trainer) credentials from ISSA (International Sports Sciences Association), was much harder than I thought it would be. In addition to all the prerequisite quizzes that you have to pass just to unlock the rest of the course, you have to read a 700-page book, write six essays, pass an intense final exam, and design a comprehensive 12-week health and wellness program for two unique individuals. I'm grateful that I had an accountability partner on my side and I'm incredibly fortunate that my "study buddy" happened to be an award-winning pediatrician who actually enjoyed medical school and excels at continuing education. Dr. Jill Garripoli Pedalino, Owner of Healthy Kids Pediatrics. There were several points along this journey where I thought to myself, "This is crazy. I'm lying on the floor and whining like a little baby about not wanting to finish what I started. I motivate people for a living! For the past twenty five years, I've motivated the young and old to get on the dance floor and celebrate life. For the past five, I've motivated the young and old to be more mindful and live a happier and healthier life. Why is this so freakin' hard?" Jill, with a healthy dose of both compassion and sarcasm, reminded me that many things we need to do for ourselves are incredibly challenging- but well worth it in the long run. She essentially told me everything I needed to hear, not just what I wanted to hear. Yes, the professional motivator got taken to school. It was pretty impressive, actually. At that moment, Jill helped reaffirm that sometimes we need to put our pride aside and seek inspiration from others when our own empowerment fuel tank is running low. Earning a few new letters after my name, which will help secure some future TV appearances for the book, was a bonus. Being reminded that who you surround yourself with makes all the difference in this world... well, that was the lesson of the day. 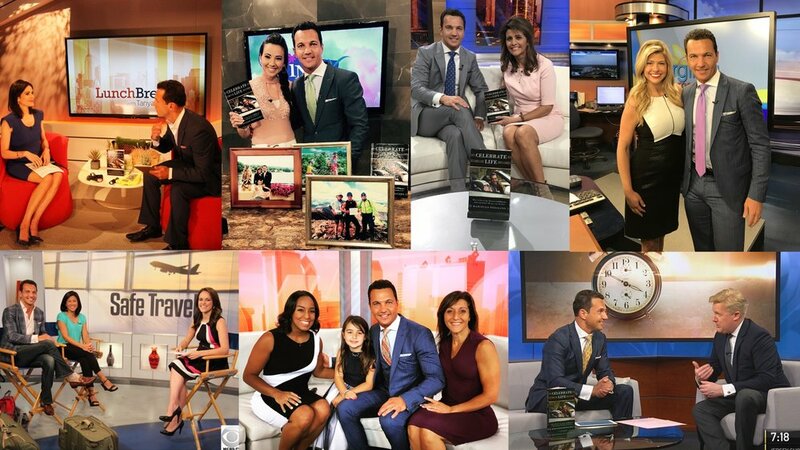 The only thing better than getting asked to stick around after the commercial break was having my daughter invited to join us on the couch for the segment, It was a pleasure appearing on Good Day Philadelphia and chatting about wellness, flexibility, success, & generosity. It was 'Bring Your Family to Work' Day at #fox29philly :). Loved meeting Lauren Johnson and chatting about #worklifebalance and the importance of #sleep #nutrition #fitness and #generosity. It was awesome to have my wife, Jill, and daughter, Isabella, on set and even cooler when Lauren invited Isabella over the couch after the commercial break. :) I'll post the video of the segment coming soon. I look forward to meeting Lauren Johnson and the Good Day Philadelphia Weekend News team at FOX 29 on Sunday morning. We'll be discussing work/life integration topics and sharing tips on sleep, fitness, nutrition, travel, and how to enjoy more time with your family. We'll also be doing a live Q&A via social media after the commercial break. 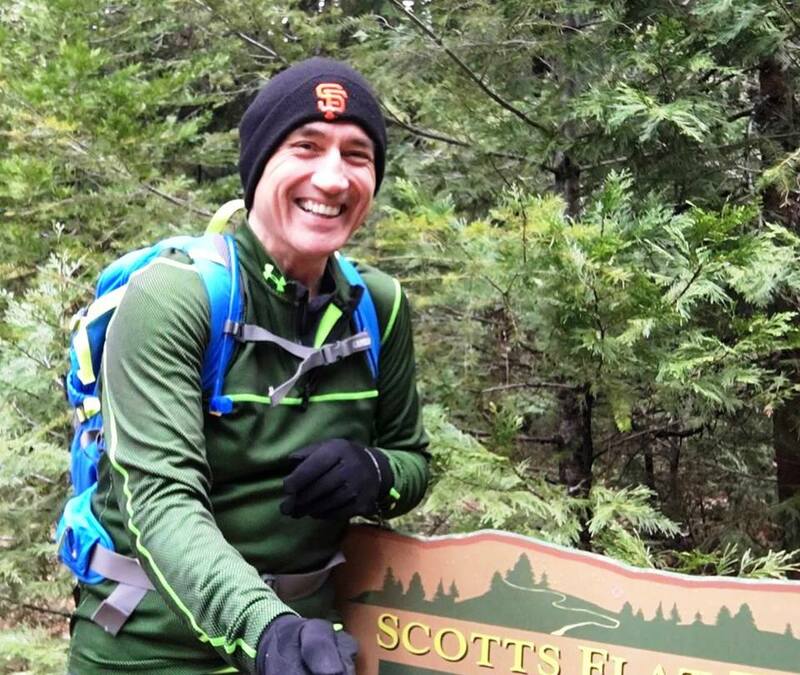 After completing basic life support, CPR, and first aid training, Marcello Pedalino earned the the title of CFT (Certified Fitness Trainer) by ISSA, the International Sports Sciences Association. The ISSA fitness training course was a comprehensive combination of nutrition, anatomy, science, and over-all wellness education. Thank you Virginia This Morning on CBS 6 for your hospitality this morning. It was a pleasure meeting Cheryl Miller and Bill Barksdale and chatting about the book. Here are a few minutes from the segment. Onwards and upwards! Rates do not include $25 (per week/stay) cleaning fee. All bookings will require a $500 security deposit and a 50% non-refundable initial payment.